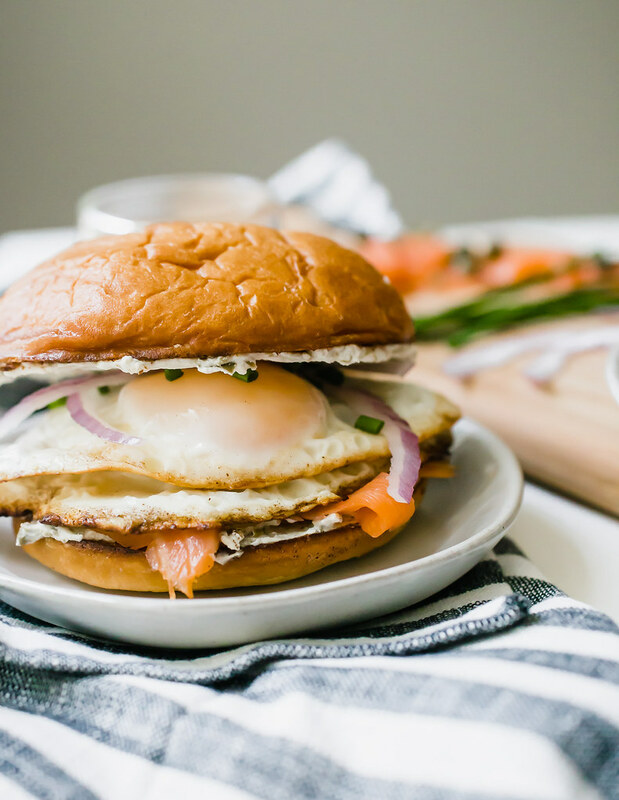 Smoked salmon egg sandwich with caper cream cheese: Treat yourself to a little weekend luxury at home with the most outrageous of egg sandwiches. 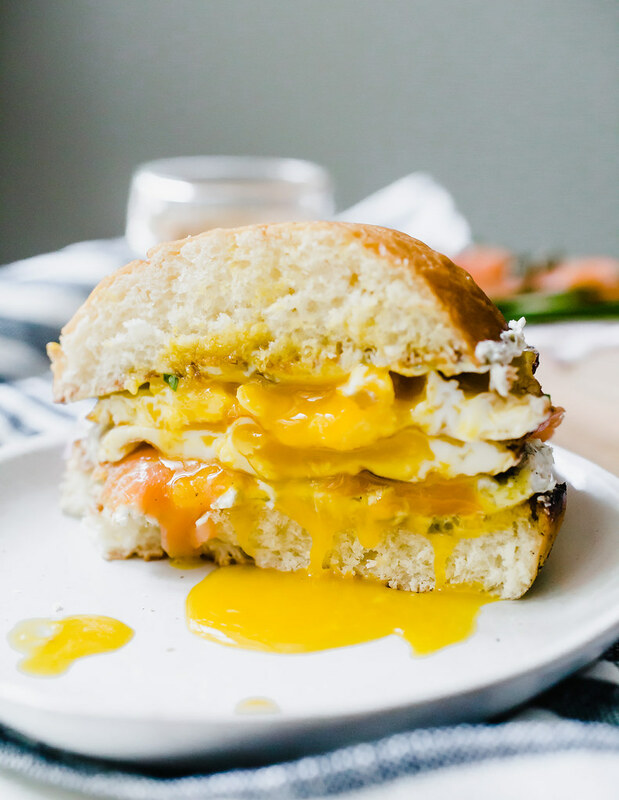 Piled high with smashed caper cream cheese, smoked salmon, and 2 runny over easy eggs, this sandwich will make staying in on the weekends so much easier. Whyyyyy do these decisions need to be so difficult for me?! It’s like having the little good guy and little bad guy on each shoulder, twittering at me in either ear. So annoying!! If you’ve been following me along on the Insta, you’ll know that one of my favorite places for coffee and a light breakfast my neck of the woods is a little French/Belgium café in New Haven called Maison Mathis. It’s right on my way into work and they make the BEST vanilla lattes ever. About a year and a half ago, I finally ventured away from my weekly egg & cheese sandwich. The latte remained the same though! MM serves their egg sandwiches on these insanely delicious rolls that I think they pop under the broiler to crisp up the tops before serving. They call the sandwiches made on these rolls crispy rolls. So let’s go with that here, shall we? In place of my usual egg & cheese crispy roll, I went with the smoked salmon crispy roll. And man oh man was it delicious!! Layers of fresh spinach, fried egg, smoked salmon, cream cheese, and a sprinkle of capers smacked in the middle of that crispy roll. I was in heaven! The problem with this crispy roll? I certainly couldn’t justify spending nearly $10 on an egg sandwich no more than once, even if it did include smoked salmon. YIKES!! So of course, I decided I needed to make them at home. And hence, my smoked salmon egg sandwich with caper cream cheese was born. If you’re a smoked salmon lover, this sandwich is for YOU. 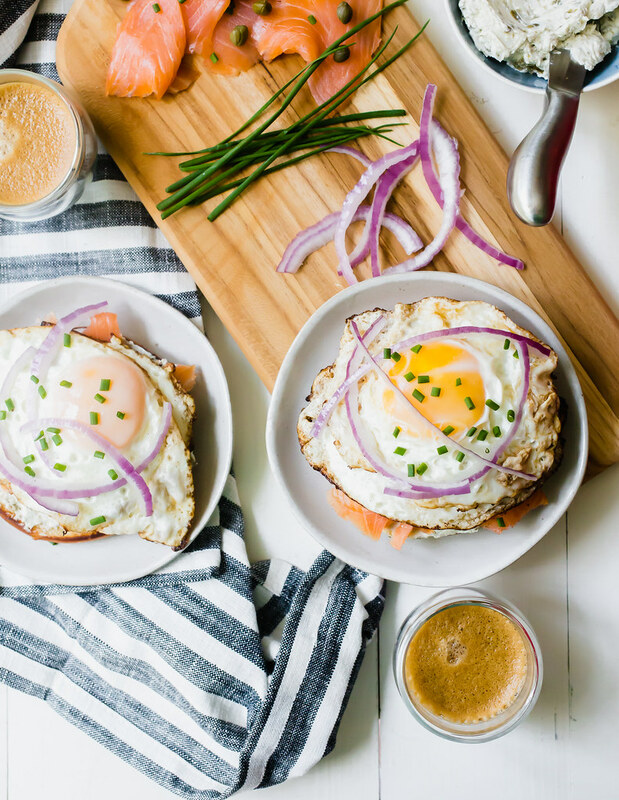 Heck, if you’re an egg sandwich lover, this smoked salmon egg sandwich is ALSO for YOU! I don’t know about you, but a schmear of cream cheese on an egg sandwich is a surprisingly awesome addition. 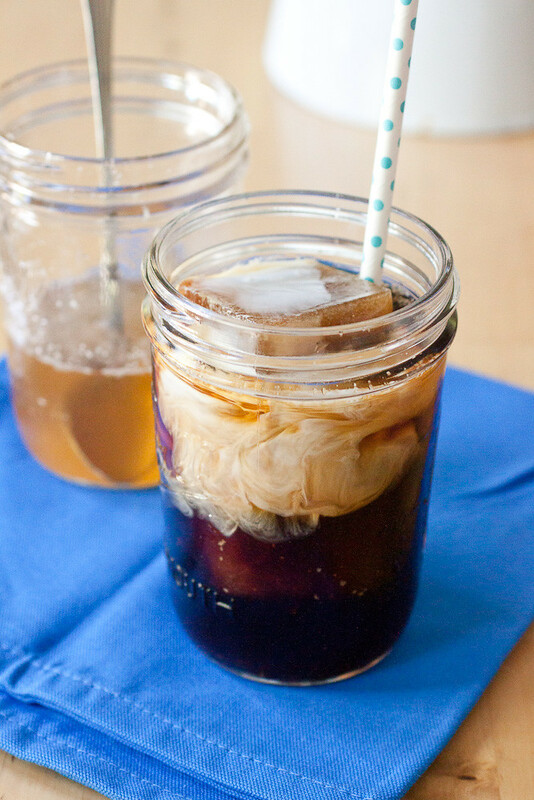 Have you ever tried it? 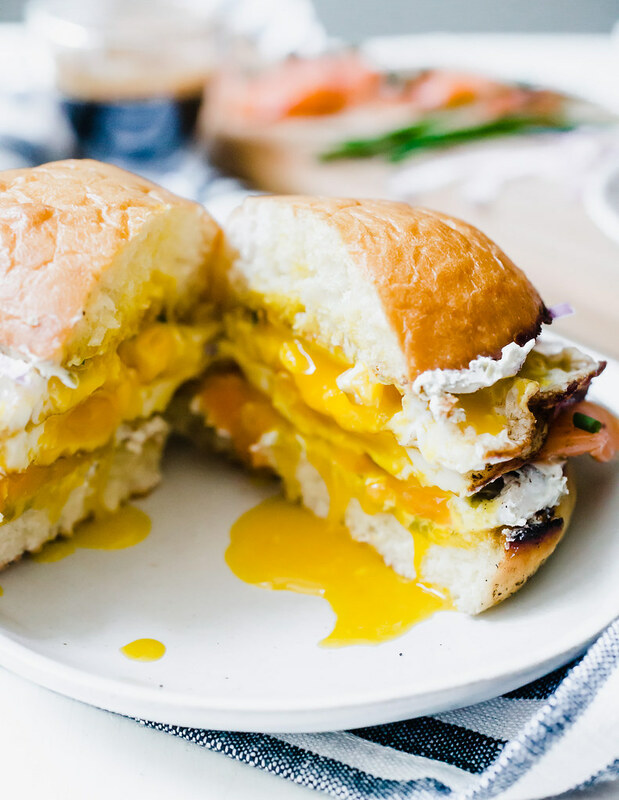 It adds a level of tangy creaminess you didn’t know you needed in your egg sandwich loving life. It’s SO GOOD! I actually went a step further with the cream cheese. 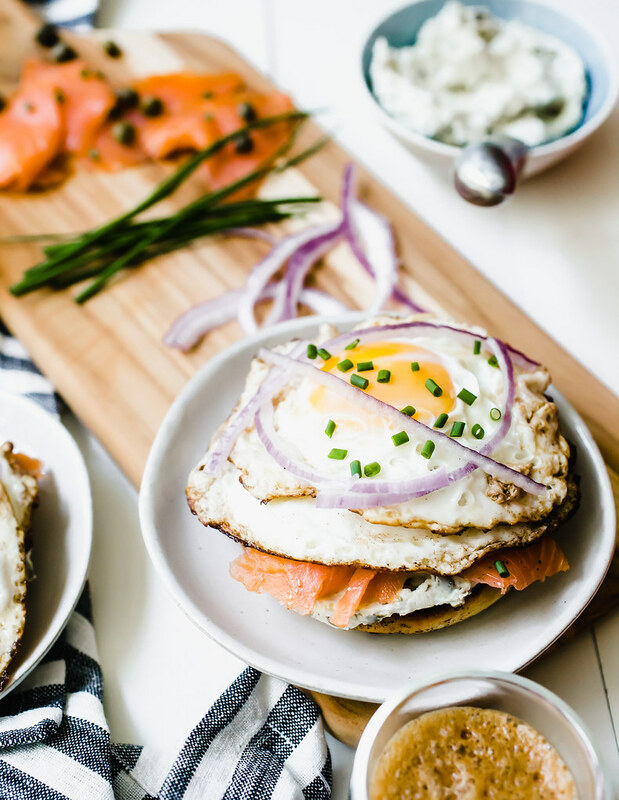 Briny and bright capers are the natural complement to smoked salmon and I absolutely needed them in this egg sandwich. So rather than having a bunch of capers rolling out of the sandwich while I was eating it – fun, right? 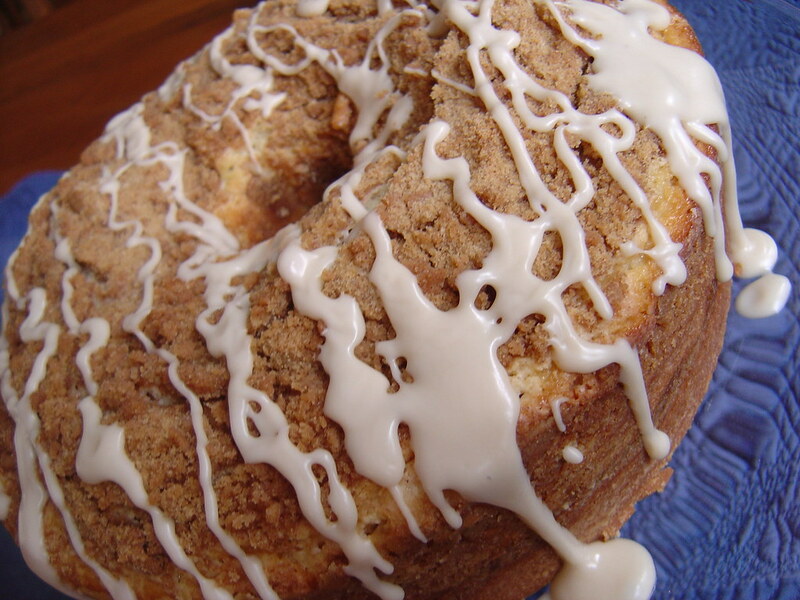 – I smashed up some capers and mixed them into the cream cheese. I know, are you even kidding? Caper cream cheese?? YUP. If you’ve had olive cream cheese – is this only a NY thing?? – you’ll know what I’m talking about here. I can’t begin to tell you how awesome this cream cheese was all saddled up there with hot fried eggs and that fresh, smoky salmon. It’s DIVINE. 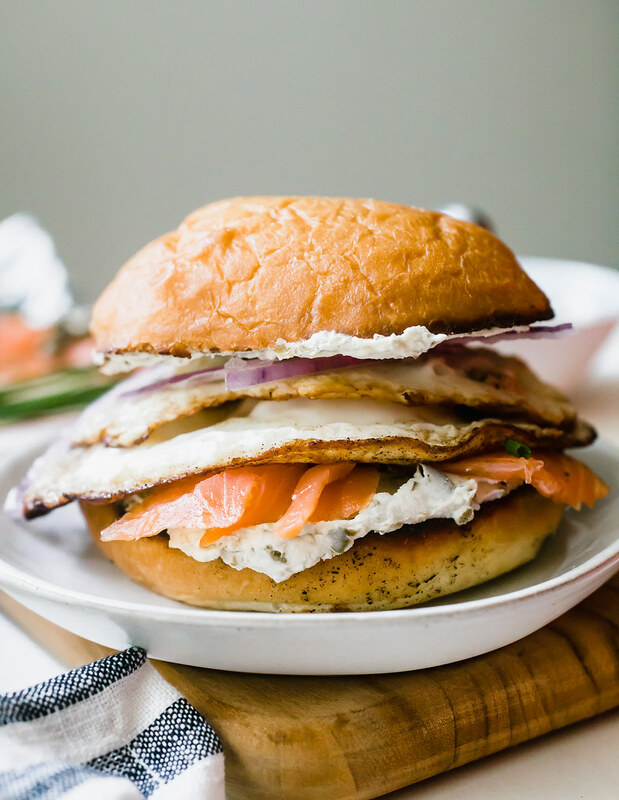 The caper cream cheese really is the perfect addition to balance the bold salmon flavor so if you’re going to make this smoked salmon egg sandwich, I implore you not to skip this piece. And there you have it. My smoked salmon egg sandwich with caper cream cheese. It’s only THE BEST breakfast I’ve had in months and since it’s so incredibly easy and less expensive to make at home, you know this sandwich will be happening again! Want to make these sandwiches for a brunch? 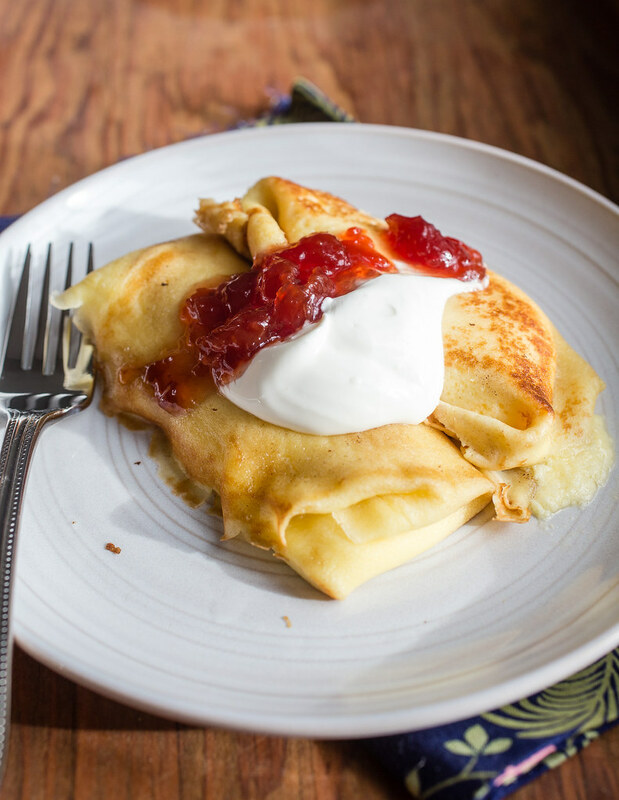 Try these recipes to go alongside! 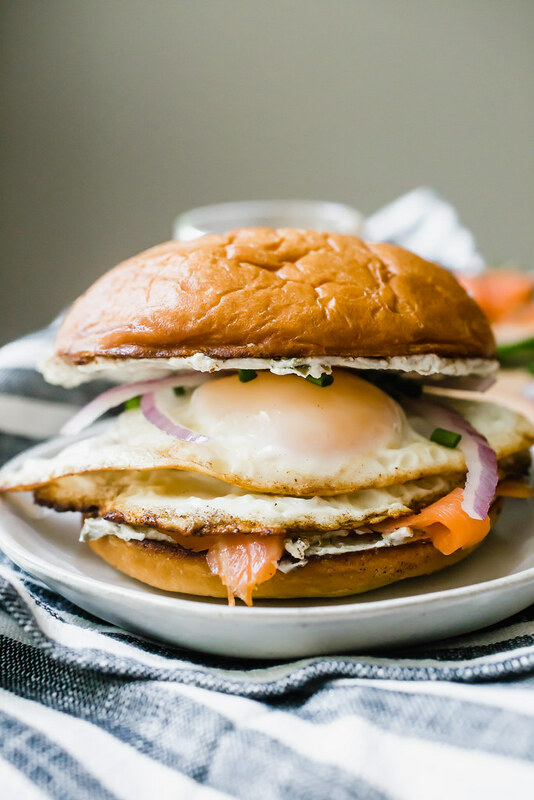 If you feel so inclined, these smoked salmon egg sandwiches would be utterly spectacular made on toasted everything bagels in place of the brioche buns I used here. They’ll be a little messier but if you scoop out some of the bagel insides before toasting, you’ll make a little more space for the sandwich goodness. 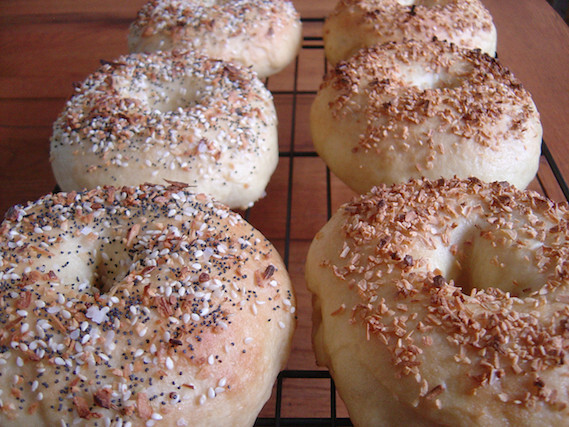 To make the cream cheese: Mix the capers into the cream cheese until well-combined; set aside. To make the sandwiches: Melt 1 tablespoon butter over medium heat in a large non-stick frying pan. Toast the bun halves, cut side-down in the hot pan until golden brown. Remove from the pan and set aside. Melt another 1 tablespoon butter in the hot pan, crack the eggs into the pan and sprinkle with salt and pepper. For runny yolked/over easy eggs, cook for 2 to 3 minutes then carefully flip and cook for another 1 to 2 minutes. For hard-cooked yolks, add another 1 to 2 minutes to the cook time. Cook in batches if your pan isn’t big enough to cook all of the eggs at one time. While the eggs cook, spread half of the cream cheese on each of the buns, on both sides of the buns. Lay half of the smoked salmon on each of the bottom buns. Top with 2 eggs on each bun, sprinkle with chives, and add a few slices of red onion. Close up the sandwich and serve while still hot.